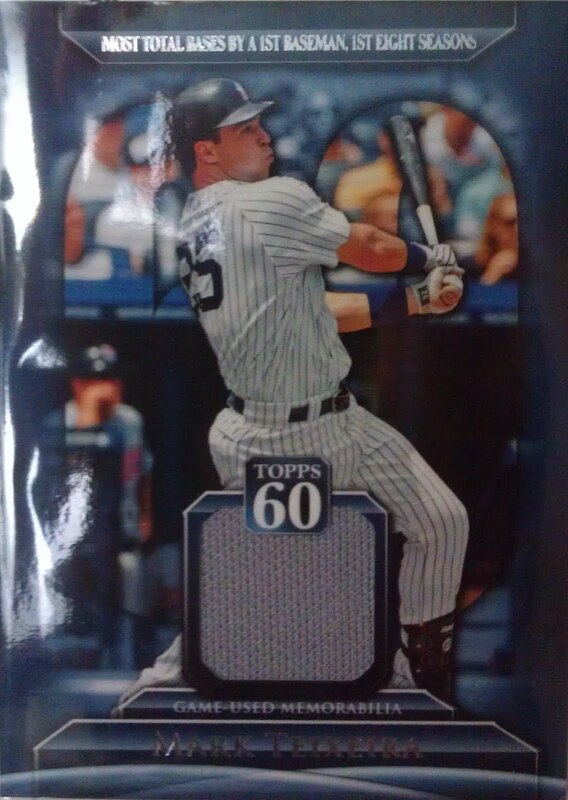 And since I still have to connect my scanner back after I moved in I'm going with the scans I already have. 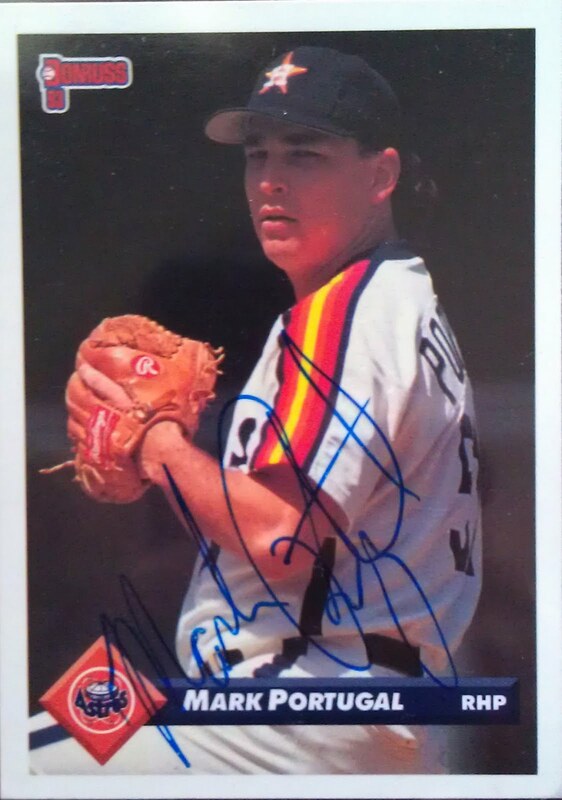 And this brings us all here again, to one more City of the World. And I assure you I might know a city name but get the country wrong, but here I'm all in the dark. I truly had to search Google in search of this almighty Madras place. From the card back it looks like a State City of some sort...but from what state!? And I can now tell you it's a city in India. And it's now named Chennai. 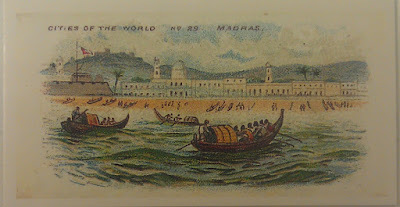 "The name Madras originated even before the British presence was established in India. The origin of the name is unclear; one suggestion of several is that it may have originated from a Portuguese phrase mãe de Deus, which means "mother of God", due to Portuguese influence on the port city, specifically referring to a Church of St. Mary"
But as stated in the same paragraph there's no sure the name was already used before European people arrived there and if so, maybe it has other origin. 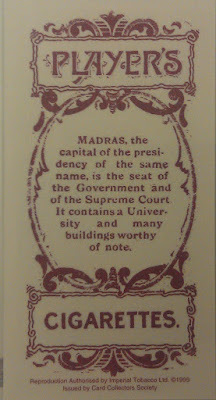 And like said in the card back it is known for the University, which is still known by the Madras name. There is also a National Art Gallery. Looks interesting! 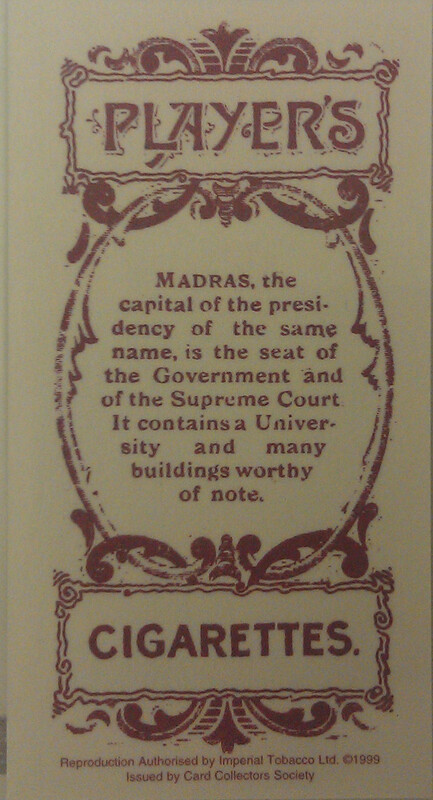 For more info about Madras visit its wiki page.